We’ve just flown into Auckland to start our 35-day New Zealand road trip around the North and South Islands! 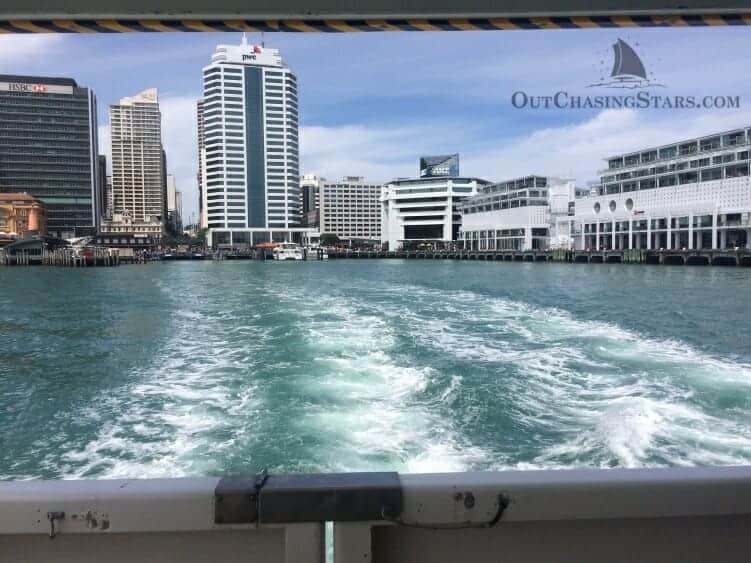 Our tour started with five days in Auckland, and one of the popular things to do in the Auckland area is taking a ferry out to Waiheke Island. 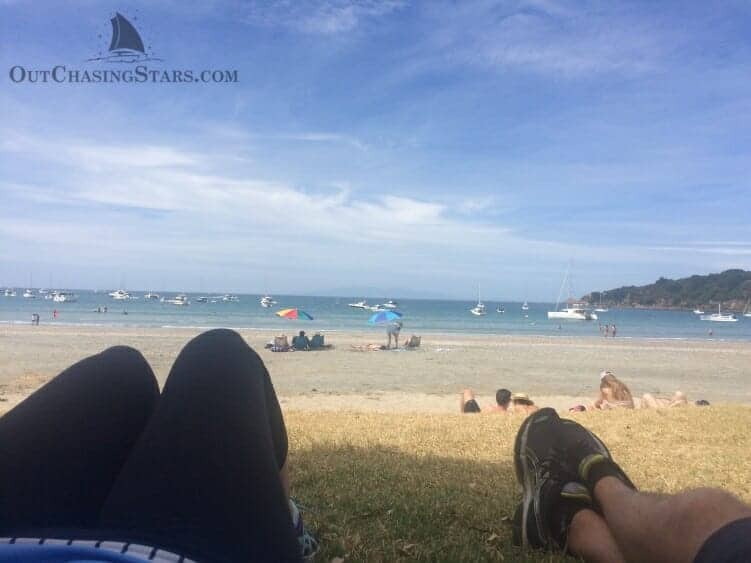 Located just 20 km off of Auckland, Waiheke is the most populated island in the Hauraki Gulf. It’s well-known for it’s wineries and beautiful coastline. We arrived at the ferry dock to see a loooooooong queue of guests. We expected it – a sunny Saturday with not one but TWO cruise ships in port. I talked to the ticket counter to see when the next ferry was and how long the wait might be. The tickets are good for any trip that day, so we bought our round trip tickets and stood in line. The ferry departs every half hour, and we hoped to make the next one. We were also concerned about doing things in Waiheke with such big crowds. No one wants to spend a beautiful day waiting in line everywhere. The ferry holds 650 passengers, so it was large enough to hold everyone waiting in line! The trip took 45 minutes, and as soon as we hit the dock in Matiatia Bay, everyone disappeared! There’s not much at the dock except for parking and car rentals. We took off to the north, walking along the water’s edge for the Matiatia Headlands walk. The views all over were fantastic, and it was clear enough we could see out to Auckland, although the cityscape doesn’t come out in the photos. We walked all the way around to Owhanake Bay, a 2.7 km walk, and then took the 2 km “shortcut” up and over the ridge to get back to the dock. After the hike, we grabbed a bus to head to Oneroa for a stop at Island Gelato Company. We also walked down to the beach to sit and enjoy the view of the boats at their moorings and people watching. We hopped back on the bus to head out to Wild on Waiheke. Waiheke is particularly famous for its vineyards, but we aren’t big on drinking wine. Wild on Waiheke not only grows grapes, but they brew their own beer and cider. They are very popular with locals because the atmosphere is casual and the drinks are cheap. They have a beautiful patio and games, which makes them popular for groups. There were 2 hen parties in attendance. The games are hysterical, and you probably couldn’t get away with that in the states – archery and laser clay pigeon shooting! 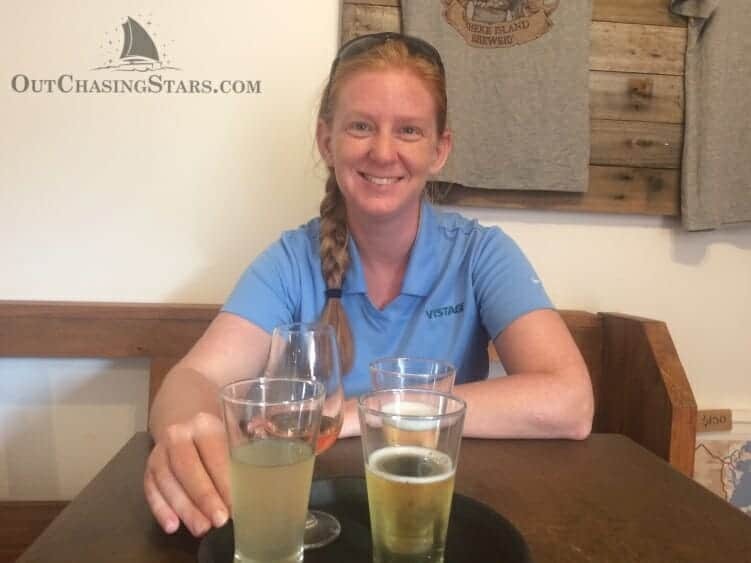 We enjoyed a tasting of the cider, rose, and their house-brewed NA ginger beer. By then, it was 6 pm and time to head back to Auckland! What a lovely day spent on a beautiful island. Doing it over again, I would have reversed our day. I had wanted to go to Rangihoua Estate for an olive oil tasting, but the estate closes at 3 pm! Even Wild on Waiheke closes pretty early – 6 pm in the summer. The other option is to go early in the morning (taking the ferry between 8-9 am), but most businesses aren’t open yet, so you’d do the walk first. Pack a picnic lunch. 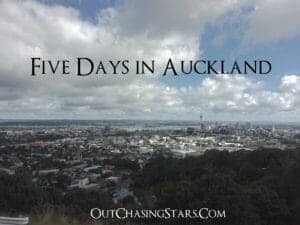 We felt that the restaurants were pretty pricey in Waiheke, and so we had a picnic lunch during our hike, and then just paid for the gelato in Oneroa and drinks and an appetizer to share at Wild on Waiheke. Wear lots of sunscreen and hats. The hike we did was mostly out in the open with no shade. We took the local bus system to get around. 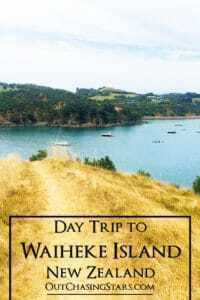 There is the Waiheke Explorer, a hop-on-hop-off bus, but it’s $50 per adult. I’d read that you can get a one-day bus pass for $10 per person, but we ended up just paying cash for the bus when we climbed on, and only paid $18 total ($3 per person x 2 people x 3 trips). The ride from Wild on Waiheke to the ferry terminal is about 30 stops, and with all the tourists, you can imagine the bus got pretty full. Some local teens were not too pleased and when the bus couldn’t stop for them, they shouted “f*ck you tourists!” and gave the bus the finger. Fullers sells Hot Seat Tickets – selected times for the ferry are only $10 per person. The normal price for a return is $36, so if you can get the $10 rate both ways that saves you 44%. The Stony Batter Historic Reserve sounds like a great place to visit, but it is not serviced by public transportation and is way too far to hike. Rent a car if you want to make it out there. 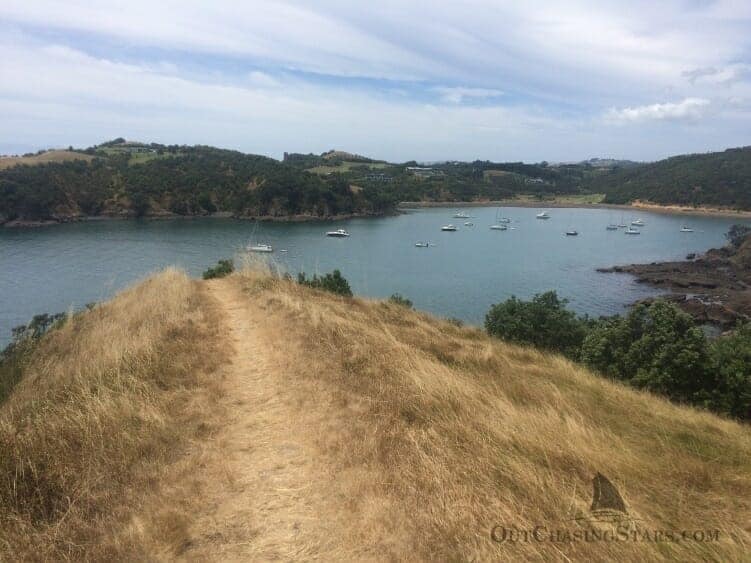 If you are looking for a place to stay, our friend Vaughan, from S/V Viking, owns a beautiful home for rent in the Palm Beach area of Waiheke. There are heaps of amazing Airbnbs for less than $100 USD a night. Never used Airbnb? Sign up and get a $40 credit on AirBNB for you and up to $30 in credit for me. Greetings from a blog follower from Rhode Island! I really enjoy your approach to cruising. Your writing and videos are first rate. We have friends taking their Switch 51 through the Panama Canal next year. I sent them to your videos as the best overview I have seen. Keep up the good work! 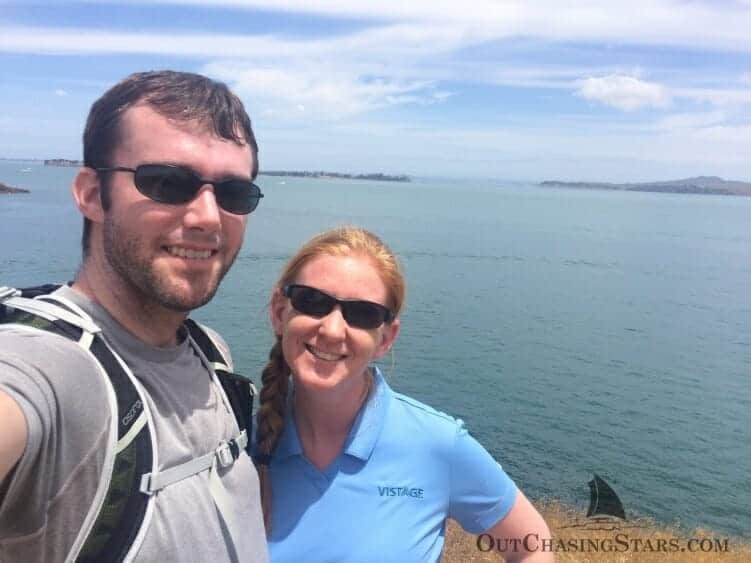 We are in NZ on vacation and went Waiheke Island the day after your trip. What a beautiful area. We went out to Onerua Beach and then to Stonridge Vineyards right next door to Wild on Waiheke. BTW, the on and off bus price of $49 includes the ferry round trip and is only about $5 more than the ferry plus standard bus. Not such a bad deal. I hope you are enjoying the rest of your driveabout. We’re now up in Whangerei Heads and headed out for a day trip to the Bay of Islands. Hi David! Thanks for sharing our stuff! We’d be happy to answer any questions your friends have. We actually know a couple on another Switch 51, who we met in Panama. 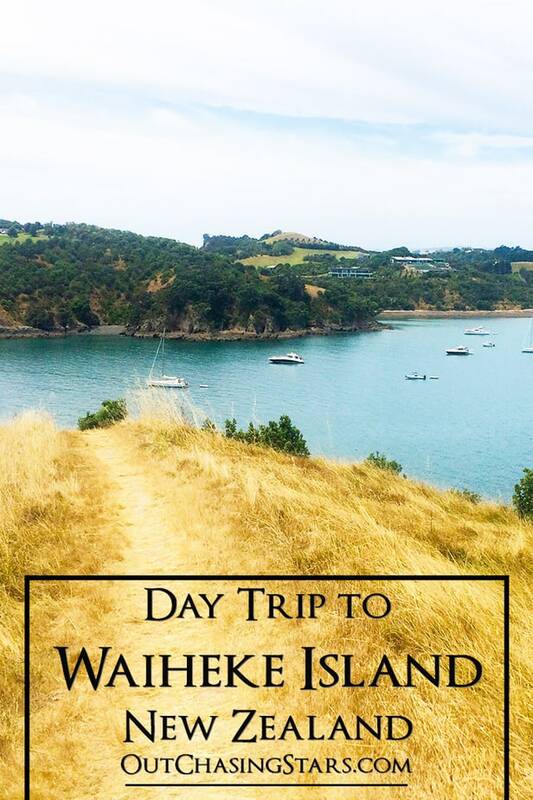 Thanks for the further tips on Waiheke. If our paths cross in NZ we will have to get together for a drink!